The Township Committee held is Annual Reorganization Meeting on January 2, 2019. At that time, Committeemen Jason Frey and Committeewoman Lorraine Hatcher were each sworn in for a three-year term on Committee. Committeewoman Michelle Weaver was sworn in for a one-year term. Lorraine Hatcher was appointed Mayor/Chairwoman and Jason Frey was appointed Deputy Mayor/Vice Chairman. Joining them on the Township Committee are Committeemen Corey Kimble and Michael Miller. Thank you to all those who came out to the meeting. We look forward to another great year! April 8th Sewer Meeting 5:00 p.m.
April 8th Planning Board Meeting 7:00 p.m.
April 15th Township Meeting 7:00 p.m. Improve our community! Report an issue and watch it get fixed. GET OUR NEWS BY E-MAIL! 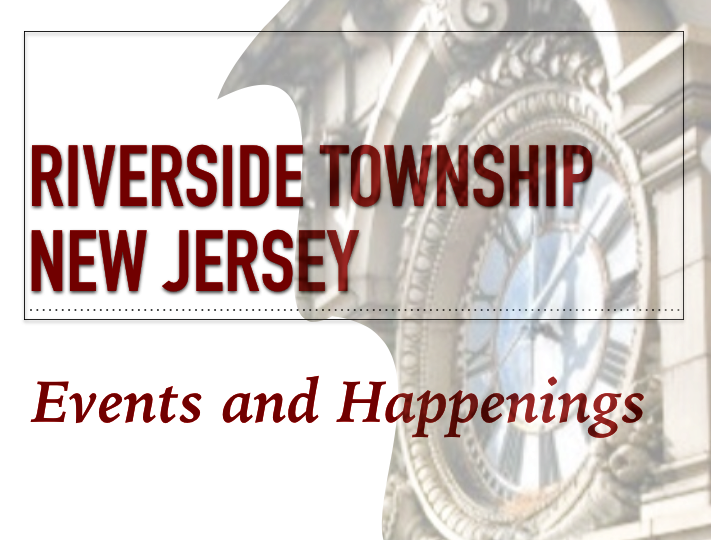 Riverside Township, NJ. Simple theme. Powered by Blogger.